A new job. A new case. A new criminal... ? 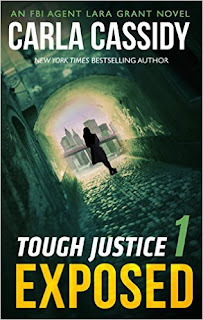 Tough Justice: Exposed Part 1/8 by Carla Cassidy is a 2016 Harlequin Special Release publication. I have always enjoyed serials, and wish there were more of them out there. With the busy lives many of you live, it can be a challenge to fit reading into your routine. Serials are a great way to incorporate reading into a tight schedule, plus, I love how each installment leaves you hotly anticipating the next story in the series, which encourages people to continue reading, whereas a novel can feel too daunting at times, and are easily abandoned. So, I think this is a great idea and it’s a fun way to spice things up a little. I am looking forward to the next installment and can’t wait to find out what happens next. Could there eventually be a little romance between Lara and Nick? Will Lara stop the Moretti’s before they murder again? Stay tuned! 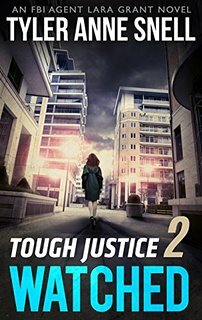 THIS FIRST BOOK IN THE SERIES IS FREE IN THE KINDLE STORE! STAY TUNED FOR THE NEXT CHAPTER IS THIS HIGH OCTANE FBI THRILLER! 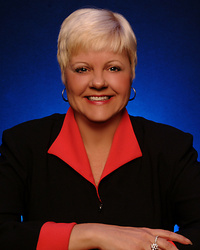 Carla Cassidy is an award-winning author who has written more than 55 books. In 1995 she won Best Silhouette Romance of 1995 from Romantic Times Magazine for Anything for Danny. In 1998 she also won a Career Achievement Award from Romantic Times Magazine for Best Innovative Series, and her 1998 release, Pregnant With His Child, was both a nominee for Best Silhouette Romance from Romantic Times Magazine and a RITA nominee in the Best Traditional category. She has been a professional cheerleader, an actress, and a singer/dancer in a show band before settling into her true love…writing. Carla loves to order items she’ll never use from catalogs and believes all exercise should be banned. She lives in the Midwest with her husband, Frank, and their dogs, Sabra and Spooky. She believes the only thing better than reading a good book is creating a good story.